Simone Amber, co-founder of Fab Lab Connect and founder of Schlumberger Excellence in Education Development (SEED), was inspired by MIT Professor Neil Gershenfeld’s idea of Fab Lab and in 2009 built a partnership between D.E.Baird (retired Schlumberger CEO), Stanford University, MIT and SEED to create the first Fab Lab in Russia. It officially opened its doors in June 2011 at Lyceum No. 1502, a state-run educational institution at Moscow Power Energy Institute (MEIP). The Fab Lab provides students with the opportunity to learn science, mathematics, and engineering by using cutting-edge fabrication and prototyping equipment, robotics, scientific instrumentation, and computer modeling. Two students from the Lyceum entered their FabLab projects and became the winners of National science competitions: Junior and Baltics Science Engineering Fair. According to these results they were included into the Russian team to present their country at INTEL ISEF competition in May, 2016 in the USA. 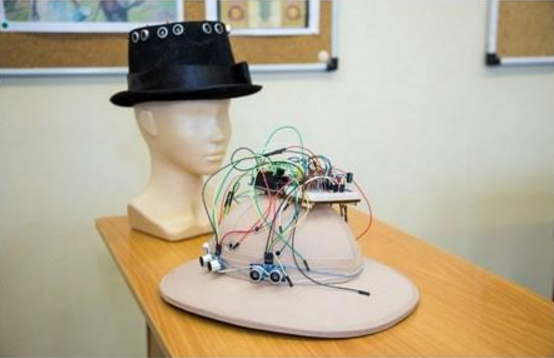 · Oleg Z., student of 11 grade «6-axis robot manipulator for the automation of small businesses». Ilya actively participated at a SEED robotics workshop with Stanford University in Lyceum, 2013, SEED All-Russia Collaborative workshop in Moscow, 2014 and a workshop with the Energy4me program, Into the Frame, Spring, 2015. Oleg practiced programming and robotics since the 5th grade and became the winner of numerous science competitions and fairs. They both are very talented students. The Lab is also leading these activities for students from other schools in Moscow. These initiatives are sponsored by the Moscow Education Department and Lyceum (providing teachers time, consumable materials etc.). Students can apply for a particular course: Circuit Design, Wiring, Modeling, Robotics, Basics of Technical Modeling at Lyceum 1502 MPEI through online state services portal. In parallel they are expanding the Lab space into two: with the big machines and electronics. Vladimir and the teachers are fantastic and very enthusiastic. They continue with curricula courses at the Lab, robotics competitions, project work and many other activities.